Massachusetts is a hard state to read. On one side of the coin they have laws that state that you can’t run a gambling house or gamble while trespassing, but trespassing isn’t defined very well, especially how the word is used today. Online poker isn’t mentioned either, leaving it in the air as to whether or not players can legally play their favorite games online. However, on the other side there are casinos opening in Massachusetts to generate revenue for the state. These casinos will have poker rooms. So overall it’s very difficult for us to know 100% where the state stands. Read on below to see our best interpretations of the law. Like most states Massachusetts doesn’t specifically mention online gambling. So you have to look at their other statutes to see if anything can be construed to mean online gambling, too. However, the only two statutes that stuck out mention gambling via telephone and gambling devices. Gambling via telephone shouldn’t apply to poker, but only sportsbetting. The gambling device statute mentions slot machines and devices with mechanical parts and reels. My point? I don’t think these statutes can be twisted to apply to online poker. On top of that it’s still possible to play online – there aren’t any poker sites that exclude players from Massachusetts. So collectively I would say that you should be ok to play online. I still recommend talking to your local authorities and/or lawyer first, though. Home poker games aren’t mentioned in Massachusetts law either. Most states have a social games clause, whether they say that’s ok to run a home game so long as no one takes a house fee or rake, or that it’s not ok at all. Section 2 . Whoever, in a public conveyance or public place, or in a private place upon which he is trespassing, plays at cards, dice or any other game for money or other property, or bets on the sides or hands of those playing, shall forfeit not more than fifty dollars or be imprisoned for not more than three months; and whoever sets up or permits such a game shall be punished by a fine of not less than fifty nor more than one hundred dollars or by imprisonment for not less than three nor more than twelve months. The word “trespassing” must be used loosely here. In other words, so long as you are on a property that’s running a home game you risk being arrested, imprisoned and fined. The same applies to those running said games. My opinion? I would say that home games are illegal. If you still plan to play I would recommend not taking a rake or fee (or playing in games that are charging fees) to reduce the chances of problems if your game is checked out by police. Again, it’s hard to know for sure. To be 100% certain I suggest talking to your local authorities or your attorney. Otherwise, just play at your own risk. Do Casinos in Massachusetts Offer Poker? Casino gambling was made legal in November 2011. However, no casinos have opened as of yet. When they do there will be poker games offered. According to our research, licenses are expected to be issued in early 2014. Construction will follow shortly thereafter, and assuming a 9-12 month timeline, we can expect the first casino to open in Massachusetts in late 2014 or early 2015. We receive a lot of questions about poker and online gambling in Massachusetts. The following are the most common questions we receive and our answers. We’ll update this section as more questions come in. 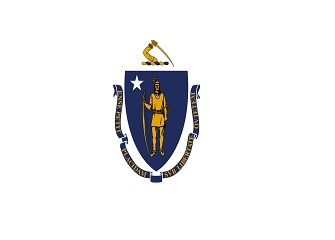 Will online poker be regulated in Massachusetts? Eh, it’s hard to say. On one hand, Massachusetts tried to criminalize online poker and other forms of gambling in 2010. They failed, though. On the other hand, they have tried to pass legislation through that would legalize online gambling. One attempt was in 2011 and the other in 2012. Both attempts were withdrawn before final budgets were put into place. And more recently, the state’s 2014 budget plan leaves room for online poker. However, the legislation will prohibit any company from being able to apply/receive a license if they offered online poker to US residents post UIGEA. That prevents sites like PokerStars and Full Tilt Poker, as well as any US accepting poker today. Each license would cost $10 million. So it appears that there is some waffling back and forth. However, with the most recent attempts to pass legislation to regulate online gambling, as well as neighboring states legalizing intrastate gambling, I would guess that Massachusetts is more likely to offer regulated poker than not. Is there an online poker room that accepts players from Massachusetts? Residents of Massachusetts can play online. Sites like BetOnline, Bovada and Sportsbetting Poker all accept players from this state. What other forms of regulated gambling is offered in Massachusetts? Para-mutual horse racing is allowed at several locations. Suffolk Downs is a popular place and will apply for a resort casino license to offer more games. A state lottery is also available. Dog racing was prohibited in 2009. Where can I read more about Massachusetts poker laws? Here are some interesting facts about playing poker and gambling in Massachusetts. Greyhound dog racing was banned in 2009. Dan Harrington, a WSOP bracelet winner and author of the Harrington on Holdem book series, was born in Boston, Massachusetts in 1945. They had better social support. They had lower levels of depression. They has higher self rated levels of health. They had higher cognitive functioning. That sounds like a win for gamblers in the state of Massachusetts.